The Kruckeberg Botanic Garden is gearing up for its yearly Solstice Stroll. For members, it will be December 18th from 4 p.m. to 8 p.m., and for the general public it will be December 19th through the 21st, from 4:30 to 8:30 p.m.
You all know what solstice means. According to the Cambridge Dictionary, it is either of the two times during the year when the sun is farthest from the equator, There is the longest day (summer solstice) or the shortest day (winter solstice). This year the winter solstice is on December 21st at 3:03 p.m., PST. 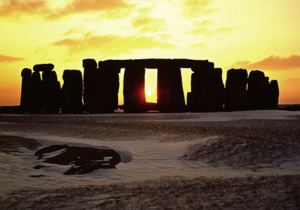 Winter solstice celebrations have their roots in antiquity (don’t we all) and if you want to look them up, you go right ahead. I did, and it was all really interesting, from the very pagan on through the very Christian. We have always wanted to brighten the gloom of winter. We have always needed comfort and reassurance when the plants go to sleep. To digress a moment; I learned something that surprised me. Meteorologists reckon the seasons from month beginning to month end. Spring is March 1st to May 31st, summer from June 1st to August 31st. Autumn is September 1st to November 30th, winter is December 1st to February 28th (or 29th). That makes sense. I mean, do you seriously feel that it is still autumn after Thanksgiving is over, snow is in your front yard and Christmas Muzak is playing in the mall? It isn’t as though, country by country, there is any agreement on when a particular season begins, but it seems as though most people, unlike meteorologists, believe winter begins on the winter solstice. However you feel about when winter begins, can there be any disagreement as to the plants associated with it? Evergreens, of course, represent long life and endurance and prosperity. “The Holly and the Ivy” is a traditional Christmas song. Ivy represents fidelity, healing, marriage, victory, honor, and luck. There is mistletoe, a poisonous evergreen parasite that nonetheless represents protection and blessing, and which encourages kissing. Do you think of oak? It was used for the Yule log, and it represents just what you might imagine; strength, endurance, protection. It also brings good luck. Holly provides protection. Anyone who weeds around a holly could tell you that. I notice that a number of the plants of the season represent protection. There’s the comfort we look for, the reassurance that life goes on, that there will be a spring after the winter. Frankincense and myrrh are associated with the season. They come from the arid and semiarid regions of E. Africa, Arabia, and the Indian subcontinent, and they are both members of the Burseraceae family. Frankincense (Boswellia sacra) grows in very rocky ground. It has papery, peeling bark, and leaves clustered at the ends of tangled branches. Sadly it is declining in population. The Kew Garden website lists it as Near Threatened. Along with protection and purification, it offers consecration and spiritual illumination. (In that case, it is very sad indeed that it is declining.) Myrrh (Commiphora gileadensis) is for healing, death and the afterlife, purification and inner peace. Wheat I understand. Cookies, cakes, pies, pastries…naturally wheat is for sustenance, abundance, fertility and luck. I wonder what poinsettias represent, other than opulent beauty and retail excess? When I lived in Florida as a child, they grew in people’s yards! Just like azaleas! They didn’t come in as many varieties as they do in the stores now. They were just red. Now there is “Luv U Pink” and “Strawberries and Cream” and a very pretty one called “Tapestry” with variegated leaves. I want one of each, one for every room. Yew is for death, silver fir is for life, and birch, good old birch, lovely birch, is for beginning. End your year with the Solstice Stroll. Comfort yourself with plans for new beginnings, and in the meantime, rest, renew, stay warm. When will life burst thro’ her mould?